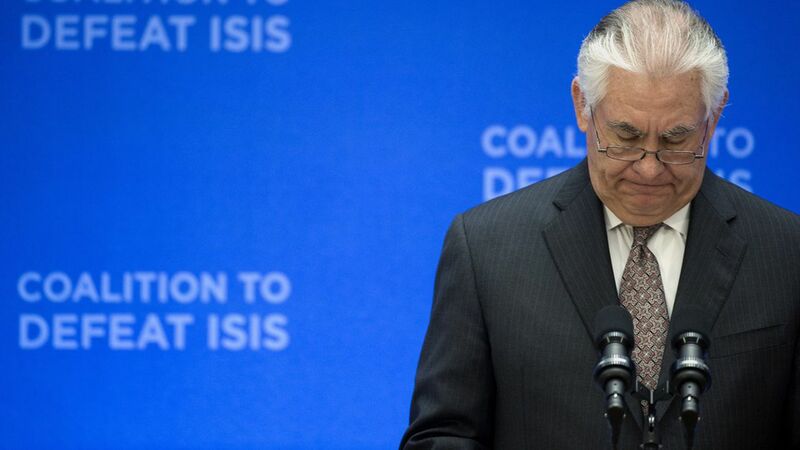 NATO Secretary General Jens Stoltenberg and Secretary of State Rex Tillerson met Wednesday on the sidelines of an anti-ISIS coalition meeting and agreed to work out an alternative schedule so Tillerson could attend an upcoming NATO gathering, per AP. Stoltenberg was "absolutely certain" a suitable date could be found. Tillerson previously said he wouldn't attend so he could instead meet with Chinese President Xi Jinping in Florida, before traveling to Russia. Trump said Tuesday he would attend the meeting. Why it matters: The decision to reschedule shows how on edge NATO is about America's commitment to the alliance.